This “Blessing of the Home” from Lily Art makes a beautiful addition to any home. 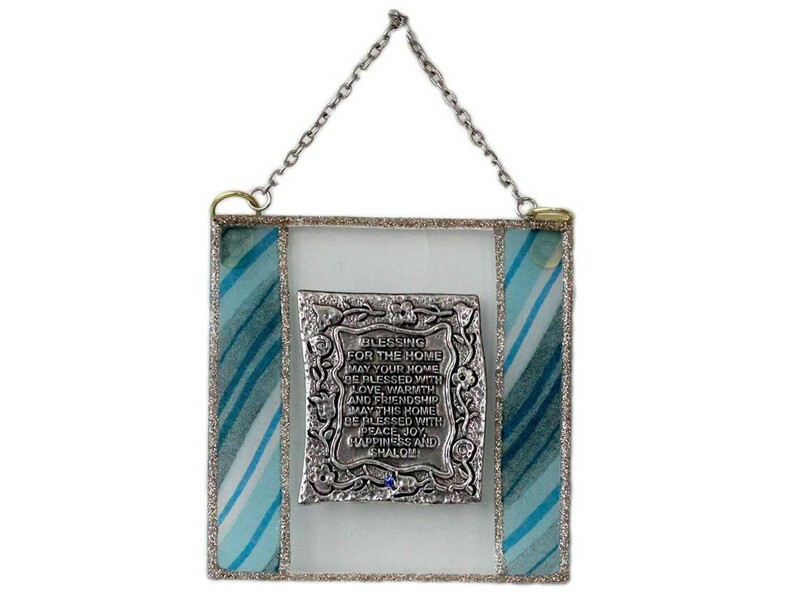 The square shaped glass is decorated with beautiful blue shaded stripes on each side within a silver border. On the translucent glass center, a silver colored plate with the English translation of the Blessing of the Home. The words on the plate are – “Blessing for the home - May your home be blessed with love warmth and friendship may this home be blessed with peace joy and happiness and shalom”. The plaque comes complete with an attached silver chain, ready to mount on a wall.